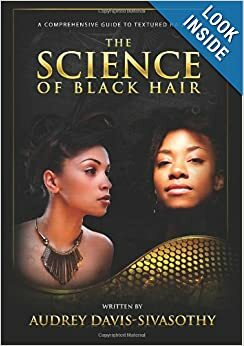 If you’ve read The Science of Black Hair, you know that we speak at length about the protein/moisture balance (Chapter 6, pg. 93). It’s just so important! For those of you who are like: the protein/moisture what? Here’s a quick video (well six minutes is not exactly quick, but you know what I mean! ), that shows how pasta can help us understand the protein/moisture balance a little better. Enjoy! Our hair is made up of both protein and moisture components ( + some binding materials to hold it all together.) In order to keep your hair healthy, and to prevent breakage and splitting, you’ll need to maintain adequate levels of both in your hair. Fortunately, our hair products are formulated to meet either our hair’s moisture or protein needs. The air around us has a 24/7 ongoing moisture trade with our hair. Day and night. Add to that, the fact that nearly everything mentioned above in the protein section also kills your moisture chances — you can see why moisture is such a fickle hair property. But it’s definitely the most important. Everyone needs moisture above all else– relaxed or natural. But those with relaxed and/or color-treated hair really need to get good doses of both. If your hair is natural, you’ll find that you can go quite a long time without ever really needing much supplemental protein. That’s because most of your protein structure is still intact. You’ll still need some protein here and there, especially if you spend time in the sun or use heat regularly. That’s true for everyone! 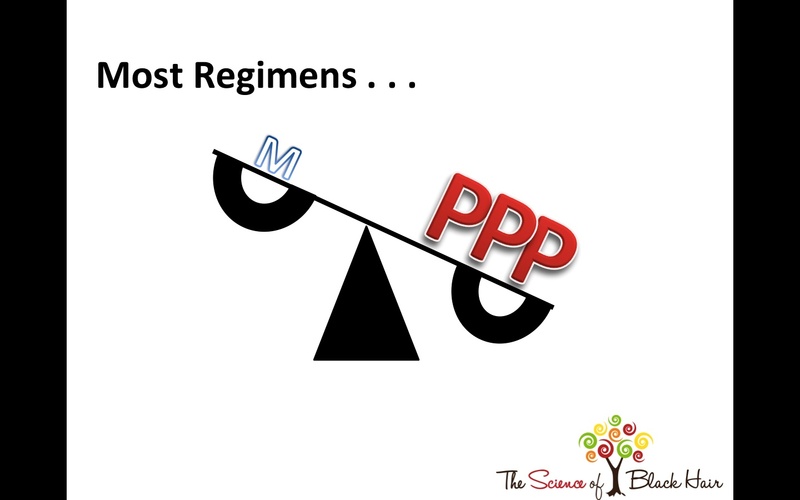 Does your protein/moisture balance look like this? It may not even be that you’re using too many protein products per se’– it’s just that your hair care practices in general aren’t contributing to a healthy moisture balance. Your “moisturizers” may not be moisturizing enough, you might be using too much heat too close together, or your water may be hard. You may also still be one of those people who uses oils, waxes and butters to moisturize your hair instead of a real water-based hydrator. « SBH on Youtube! . . . Finally! I really like the Video, however I have tried to do this to my hair and it extents and goes back to it original shape. However I fine that my hair has been the same length for the pass 2 years. I am getting discourage. What am I going wrong. If you are having problems retaining length, you are still getting enough breakage somewhere to make a difference over time (or you are trimming your hair too aggressively, ie., faster than your scalp growth rate). If it’s not trimming, you are probably getting a slower, chronic– yet less noticeable breakage– that manifests as no length gain over time. I’d look at how much protective styling you are doing, and your conditioning schedule. To gain length, you’ll need to stay on top of these things. How are you styling your hair? What’s your conditioning regimen? Thank you for getting back to me, I wear my hair in protective style all the time, i only wear wigs and my hair is braided in cornrows. I wash my hair every week in cornrow and i used spray with water then use African pride leave in and seal with caster oil every day. I cut my hair every march. I don’t touch my hair. I take multivitamin. I used a shower cap to steam my hair, i don’t used heat. I used tresemme natural. I deep moisture every week with out heat and i have started using olive organics protein every other 3 weeks so ( 3 moisture :1 protein a month both without heat). I used to use all organic produces but my hair wasn’t growing so i stopped. My center is shorted than my other part. My hair isn’t frizz nor does it feel hard its baby soft but no length retention. Ends of hair curls with wet and goes back to shape if pulled. I feel bad due to fact i have told people about going natural and they look up to me and my hair isn’t showing them that black hair can grow. They say everyone in your family has long hair why do you. It hurts to be frank. My cousins has BSL, my grandmother has nice shoulder length hair, mum too.. its me with the shorties hair. why me lol lol..
Hi Yasmin , is rather sad to hear that u are not retaining any length. Something is very wrong some where.I think there may be some hair practices u do that your hair is not coping with. As for growth ,every body hair grows no matter what u do, is all about being able to keep the hair on your head in a good condition when it grows to retain length. Maybe is time you give your hair a break by wearing only short term protective styles and loose styles like twist, single braids, flat twist, bantu knots etc. You can wear this protective styles on a weekly bases and wash and deep condition once a week and style again. Long term protective styles is not for everyone. It also make is difficult sometimes to reach your hear when is under a weave to give it the deep conditioning and moisture it needs. Cornrows, box braids, hair extensions etc. is cool but many times, is not done properly and it leaves you with a lot of tension and breakage. Learn to do your own hair as much as possible, be very gentle with it, do only short term and loose stiles , deep condition every week and keep your hair very moisturised. You must learn to know your hair and avoid things your hair don´t like and you will be able to retain length …..DONT GIVE UP you will get there. Feel free to touch your hair, check for dryness and any irregularities and take measures to correct them. Try to practice simple baby heat free regimen and styles, use heat only when u deep condition and trim your hair once every 4 to 6 month. 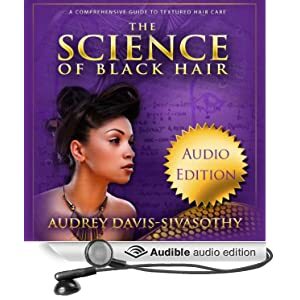 I will like to use this opportunity to thank you for writing the book, the science of black hair. 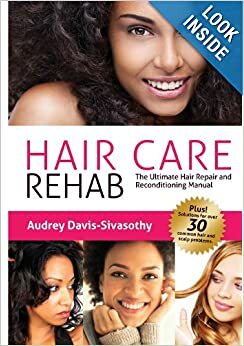 This book motivated me to go natural after many years of hair damage, zero growth retention and boldness. Your book thought me that ,my hair is not inferior and i can wear my hair in it natural state and look beautiful. Some of the things I have learn about my hair is that, my hair is protein sensitive , so I use as little protein as possible and I always check my ingredient list to make sure I don´t accidentally put too much protein in my hair which will lead to breakage. My hair is very, very dry so I concentrate a lot on moisture, moisture , moisture and I do moisturising deep conditioning every week with heat or I sleep with the deep conditioner over night. My hair don´t respond very well to long term styles ,like wearing extensions for more than 6 weeks. My hair tends to be very, very dry when I wear such styles for too long which will lead to breakage, so I always will take down such a style after 5 weeks. I do not wash my hair when am wearing a long term style until I take it down. When I wash my hair with the style in it, my hair will clump together with a whole lot of residue which makes me loose a lot of hair trying to de-tangle my hair after I take down the style.What I do is, I moisturise my hair everyday with a leave in spray and I seal in the moisture with coconut oil , even though my hair love heavy butters I use them springily to avoid too much build up which leads to tangle and breakage. I don´t like pulled tight styles and any tension on my hair line ,I have fine baby hair at my edges so I do my own hair all the time and am very gentle with it. I am sensitive to peppermint ,I tend to get itchy scalp so I avoid it as good as I can. My hair don´t respond very well to shampoos so I avoid them, I use shampoo only once in a while or when necessary . Because I don´t use shampoos, I avoid silicones, petrolatum ,mineral oils, bee wax or anything that will leave a residue on my hair. I know there are a lot of people out there who absolutely love and practice all this things I try to avoid because, it works for them and that is why, hair is not one size feet all. This is also the reason why, knowing your hair and how it responds to certain ingredients and practices is very important to maintain healthy hair growth. I’m a bit like you. I can’t stand synthetic hair or weaves. I’m 26 and only put weaves one time in my life to keep it less than a week. How are u doing? I do wear wigs in winter to protect my hair when the temperature is very low and dry ,since is easy to put it on and off like a hat. I wear single braids with synthetic hair like once or twice a year only to protect my hair from the harsh winter and I don´t wear such styles for more than 6 weeks at a time due to build up and dryness, which leads to breakage. I live in in Zürich and it gets very cold in winter. I wish the weather was beautiful and not too cold because, I prefer wearing my own hair all the time. -African pride olive miracle leave in conditioner. My hair feels very dry as well when l use pure aloe vera juice and it works okay when I mix it with purified water, glycerin and coconut oil as a leave in spray. My hair don’t feel dry when I use coconut milk and I use it with the anita grant rhassoul deed conditioner about 4 times a year. -Put all your hair products in to two groups, moisture base and protein base .Use the protein free products on a regular bases and use the products containing protein between 6 weeks to two month or as needed that way, you will be control and you will not get any protein overload. Can you be protein sensitive and still use coconut oil? I don’t know about being protein sensitive, I just know that my hair despises both coconut oil and Aloe Vera.They both make my hair hard and brittle. Thank you so much for your video it was very helpful. Love Love Love the video! It clarified some items I didn’t quite understand from the book. Thank you!